That sounds like a lovely week. Beautiful photos, but what a lot of water. It's the same story all over the place I think. I hope you have a good week this week too. Beautiful photos!!! I miss the sun. It's been really rainy here in Finland for weeks, can't remember when I saw the sun last time. Luckily it seems that we are finally getting winter here, so perhaps this week we will enjoy sun as well :) Hope you have a nice week! Yup, we have leftover turkey :) not for long! ...but I'd rather borrow a dog and go on the Chase! Wasn't Sherlock exasperating and clever?!! We have had a good weekend minus the sunshine. Your pictures are beautiful, the first one would be my favorite. Have a good week. That sounds like a good weekend Claire the pictures taken on your walk are beautiful. That sounds like a lovely weekend. 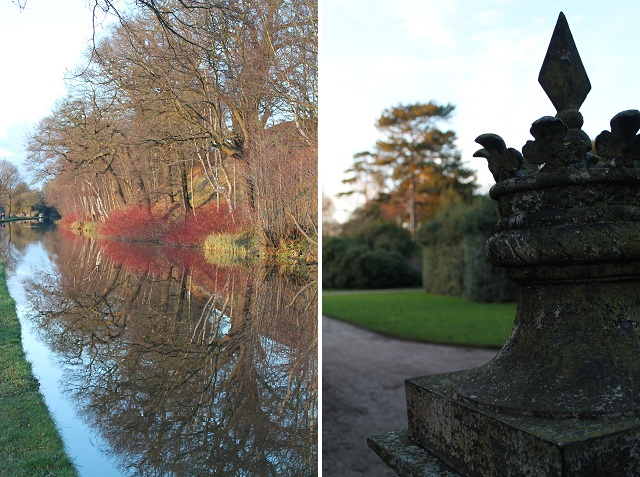 Your photos are beautiful and Shugborough is such a great place to visit.